BIG Festival 2017 took place in São Paulo last week, and I was there to check everything out. BIG is always a very fun event to attend because it’s so chill, a stark contrast to all the insanity that usually takes place only a couple of weeks before at E3. Here are a few of my personal picks out of the line-up from the event. Note that not all of them were among the finalists for the BIG awards, as the event did also include a lot of side exhibition space for other games that were not submitted for consideration. I’m including links to all of these in case you might want to check them out for yourself — which I’d totally recommend you do! I never got a chance to play either of the Knights of Pen & Paper, but after trying their new game, I’m gonna make it a priority to do so before it comes out in a few weeks. 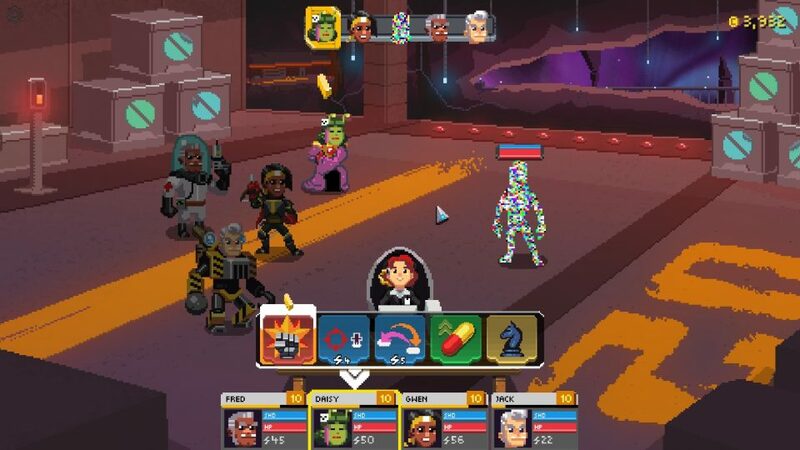 Galaxy is an extremely charming turn-based RPG with some incredible pixel art and witty writing to boot. The whole premise of the game is that you’re playing a pen and paper RPG with a buddy and a dungeon master. You’re able to fully customize all of your characters, as well as their alter egos, who are the ones who do the fighting, from among a handful of options, like different alien races and class stereotypes, each with their own pros and cons. In between the turn-based bouts with the enemies your dungeon master throws at you, you’re treated with some pretty funny banter that takes place between everyone sitting at the table. And depending on who you pick as your character, different quips are delivered, which adds to eventual repeated playthroughs of the game. I’m not exactly sure how long a game of Galaxy of Pen & Paper is supposed to run, but all things considered, I wouldn’t be surprised that the final version is built with replayability in mind. There’s no hiding the fact that I’m a big fan of SuperGiant Games’ Bastion, so Figment instantly attracted me to its station the first moment I walked by, not only due to how similar it plays to Bastion, but also because of how gorgeous its art is. I was taken back by how much I liked playing this one. The puzzles were easy enough to solve — they mostly revolved around having to control the direction a few windmill pointed to in order to do away with fires blocking my path, which eventually led to a few more complicated steps, such as finding a switch handle. The combat’s surprisingly challenging, requiring you to be on your toes, with the same amount of careful dodging that’s seen in The Kid’s adventure. I was able to reach a boss of sorts, who threw bomb fruits down from above, but some of them happened to have delayed fuses, allowing me to hit them back up to him. The whole fight didn’t last more than three or four minutes, but it was tricky enough to require me to retry it a couple of times before eventually scaring him away, opening up the way to a pretty big world map. Outside of the colorful section I played, there are quite a few more varied areas, one of which is the an island at night, pictured above. I was tempted to keep going, but there was a line forming behind me, so I decided to move on. Figment is definitely in my list of games to play. I can’t wait to see how it shapes up. It’s set for a summer release. Indie games and platforming go together like peanut butter and jelly, so much so that one of the biggest and best selling games around, Super Meat Boy, made its dent by offering a healthy dose of humor and merciless challenge. Necrosphere doesn’t fall behind, but its unique shtick of only having two inputs definitely sets it apart from Team Meat’s bloody game. You can only go left or right. That’s right: you can’t jump. You have to rely on momentum to carry you across gaps, and in the case of longer spaces, there are moving platforms to land on, as well as bubbles that propel you up. I also caught sight of a later area in the game where a jetpack was unlocked, but it only served as means to glide over even longer stretches, such as from a bubble from one side of the level to another. It made for a very fun demo that even someone not into playing games could enjoy at BIG. You can give its demo a spin by going to their website. Necrosphere will be out sometime this year. If the concept of having you control two distinct characters in Ibb and Obb threw you for a loop a couple of years ago, get ready to throw another fit with this one. 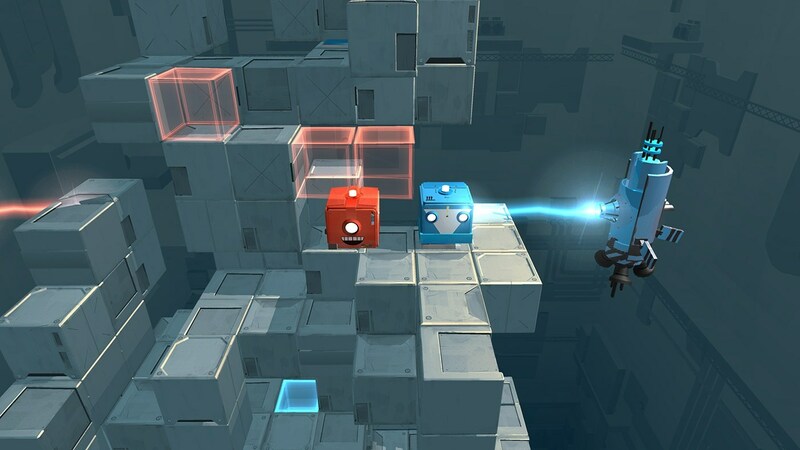 I played Death Squared right away during my first day at BIG, and it was really difficult. 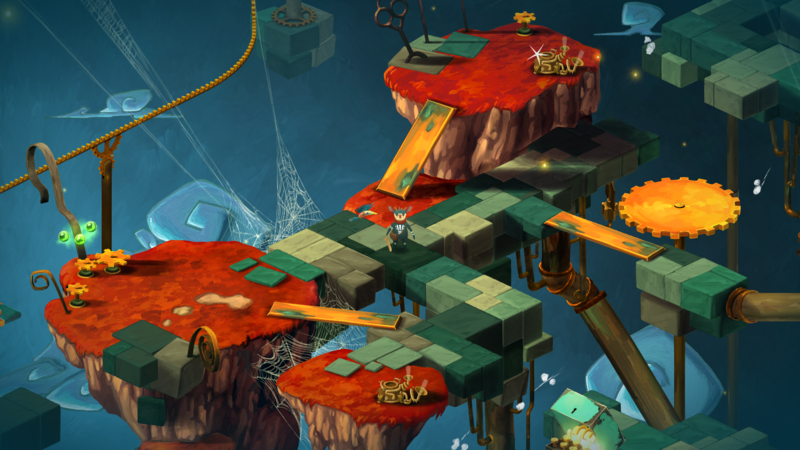 Two boxes are controlled by each of the analog sticks, but if things weren’t complicated enough, by moving one, traps and all sorts of trickery are bound to hit the other, and vice-versa. I only found out later that the boxes could be controlled by two people. In fact, up to four players can co-op this game. Death Squared was released back in March and is available on Steam. I’m really into the pixel art of Milkmaid of the Milky Way. It really stuck to me even though I only really played once while at BIG. It’s a really simple but extremely elegant adventure game that really captivated me — and heck, I only got some milk from a cow and made cheese the entire time I played it. Milkmaid of the Milky Way hit Steam back in January. 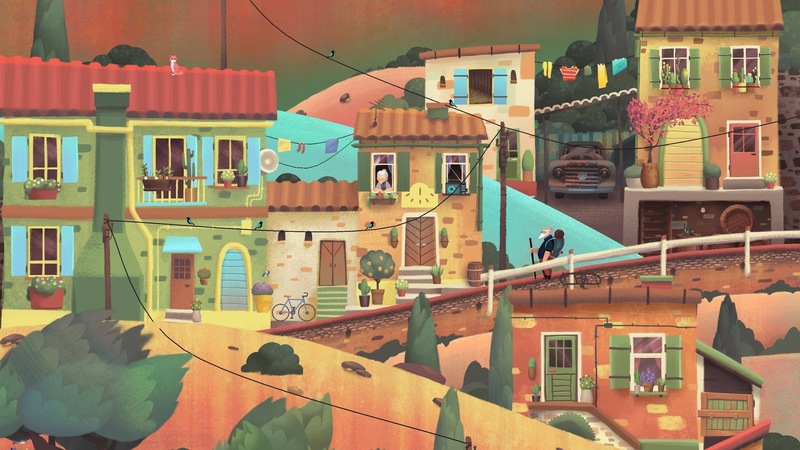 Old Man’s Journey also caught my eye with its beautiful art style, but the gameplay was also pretty damn good and simple to understand: you basically build a path for an old man to walk across by dragging the terrain and connecting different land masses in a 2D space. The visuals are absolutely gorgeous and are enough to do the storytelling without the need of any words. I was instantly hooked. The game’s been out since May, you can find it on Steam. Simple and to the point, this game has you finishing level after level in quick succession as you guide a mage from one end of the screen to the other. 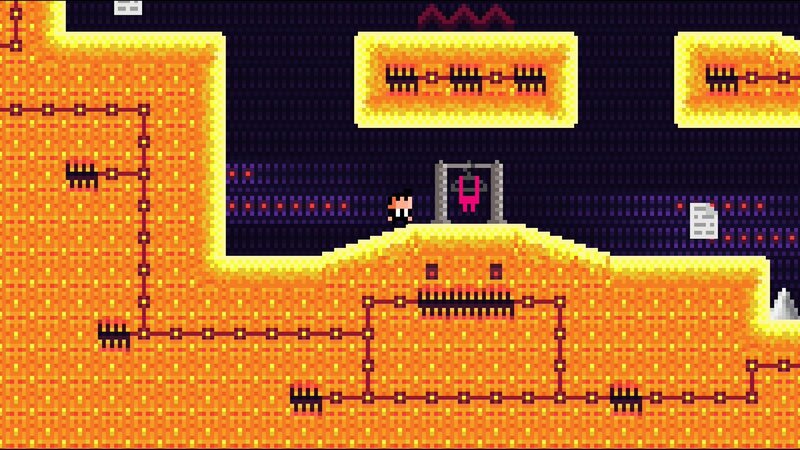 You can flip switches and jump, but things get a little more complicated once you’re required to go back and forth over pits, spikes and other traps in order to activate the exit. Did I mention that everything resets once you die? 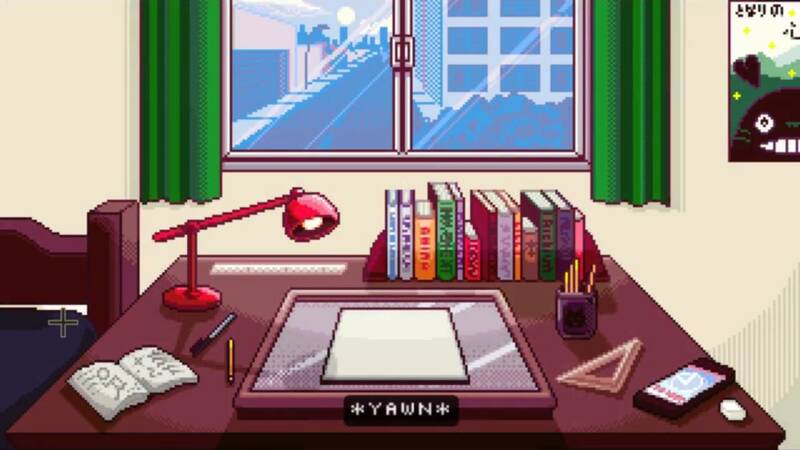 Since the levels are only a screen long, it doesn’t take a whole lot of time to do everything over again, though. There weren’t a whole lot of levels to play at the show, but from watching over others give it a go during my comings and goings throughout the festival, there seems to be plenty of creativity when it comes to some of the level designs. This feels like a smart and simple return to the style of design of the old portable games its art style’s so obviously inspired on. The game’s been greenlit on Steam and is set to be out soon. You can download a demo on their site. Another cute and easy to understand game. Bedtime Fright started out as a game jam project which is now evolving into a full release. In it, you’re a little girl trying to get to bed, moving from room to room and turning off lights while being chased by a monster. I didn’t get to play this myself, but I watched it being played for a little while. Things get hairy really quick once there’s more than one light to turn off in a room, which requires you to double back without stepping into any of the previously visited spaces. 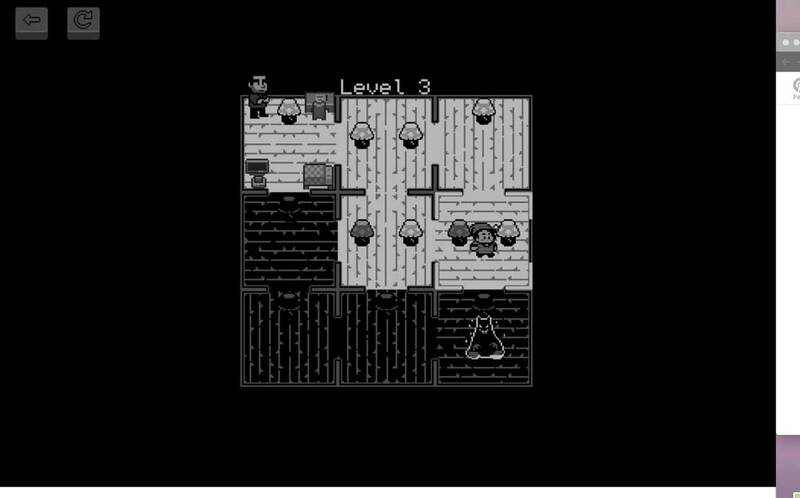 Bedtime Fright’s tricky gameplay proves to be its main charm alongside the cute retro-inspired graphics. You can try out the game for yourself by clicking the link above. This one hit me close to the heart. It’s an adventure game that teaches the basics of animation by having you go to class and hand-animating simple figures. It’s all done through pixel art and a little bit of text — works well as a teaching tool or just as a pick-me-up to anyone remotely interested in knowing how animation works and might not have time to attend classes. The writing and references to pop culture also happen to be really charming and not at all overbearing, which is definitely a plus for me. Animation 101 is free to play, and you can even try out the demo featured at BIG Festival via their Gamejolt web page. I’m really into puzzle games with simple concepts, so YANKAI’S PEAK attracted me right away, but I kept my distance since it was usually surrounded by a small group of people “backseating” whoever happened to be playing it, so I just resigned myself to watching from a distance. When I finally got around to play it, it proved to be a really neat spin on shape puzzle conventions. YANKAI’S PEAK basically boils down to pushing differently colored pyramids into their correct spots, all while trying to avoid dropping them out of the cramped playing board. You can only directly move the blue pyramid, though, by spinning it on its vertices. It’s quite a limiting manner of movement, but it certainly leaves enough rope for you to hang yourself with if you’re not careful. Luckily, can revert back a move or simply restart a puzzle any time you mess up. I can’t wait to play this away from a noisy show floor and go nuts trying to figure it out. YANKAI’S PEAK will be out in a few days, on July 13th.